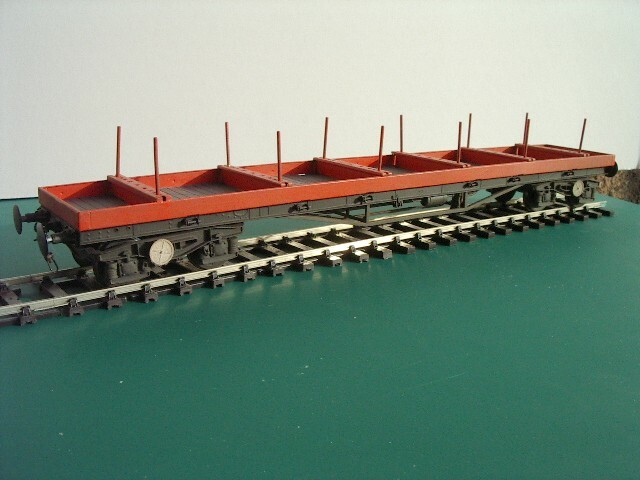 Type BAA 40' Bogie Steel Carrier Used in block trains and in Speedlink trains on all regions except the SR. 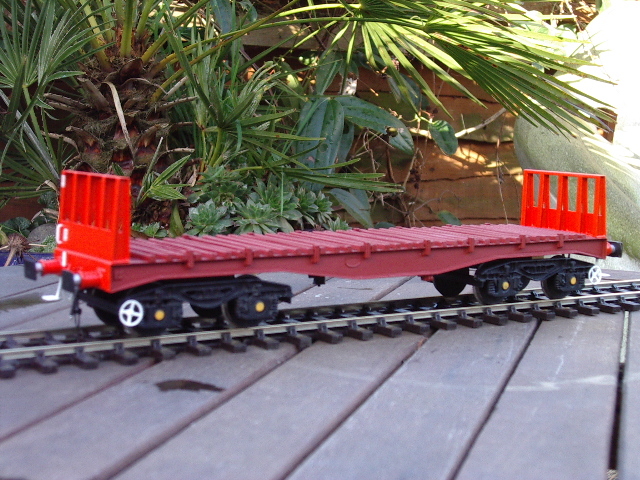 Type BBA 50' Bogie Steel Carrier Used in the same way as BAA. 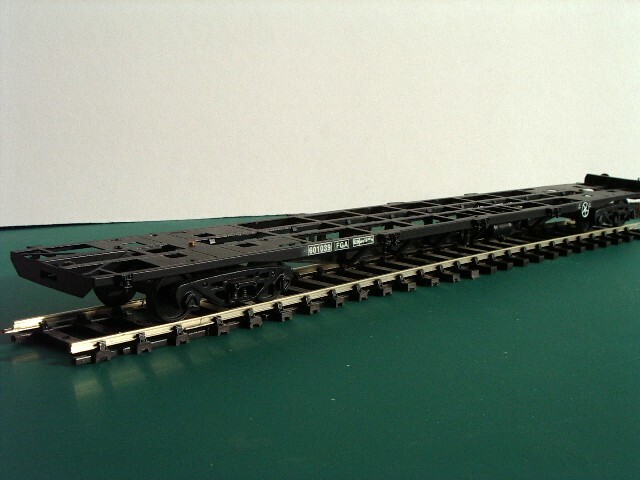 Both these kits now feature new super detailed FBT/6 Bogie. 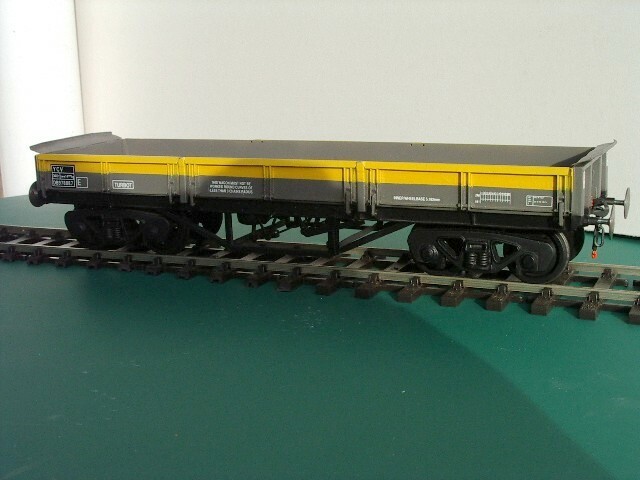 Type BPA 52' Bogie Bolster Wagon 58 ton capacity low sided, also makes engineers YNA. 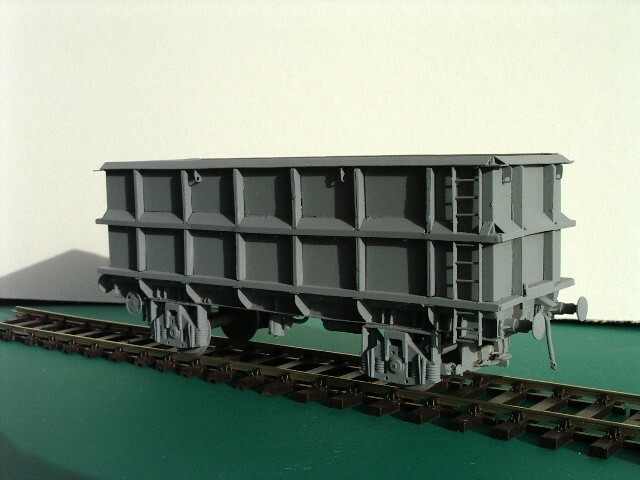 Type BXA 52' Bogie Bolster Wagon A specialist steel carrying type for conveying wide sheets at an angle of 48 degrees. An eye catching wagon used mainly in the North. Type FFA/FGA Freightliner Flat Makes both the outer and inner version of the standard and numerous Freightliner flat wagon. These run in five car sets and multiples thereof. 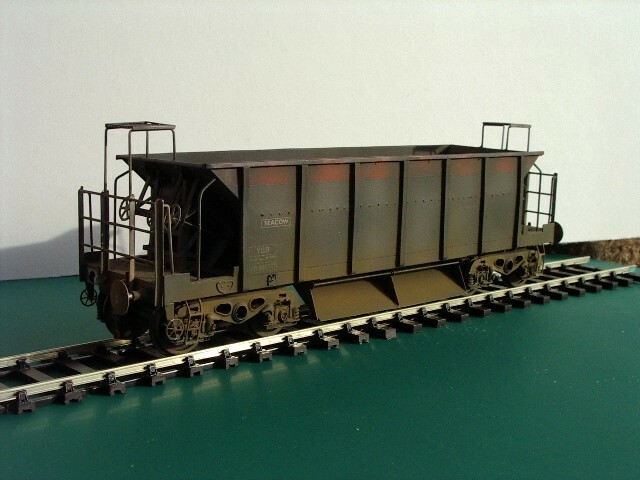 Type HEA Household Coal Hopper The modern day equivalent to the old 16t mineral wagon. 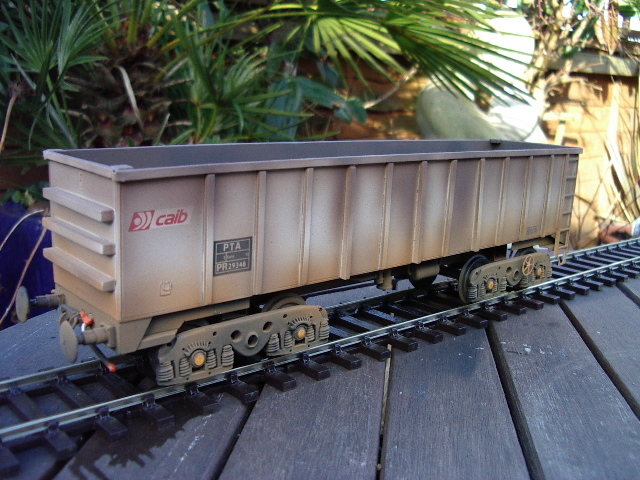 This vehicle could be seen in Speedlink coal trains all over the country, and on some MGR workings in the North East. 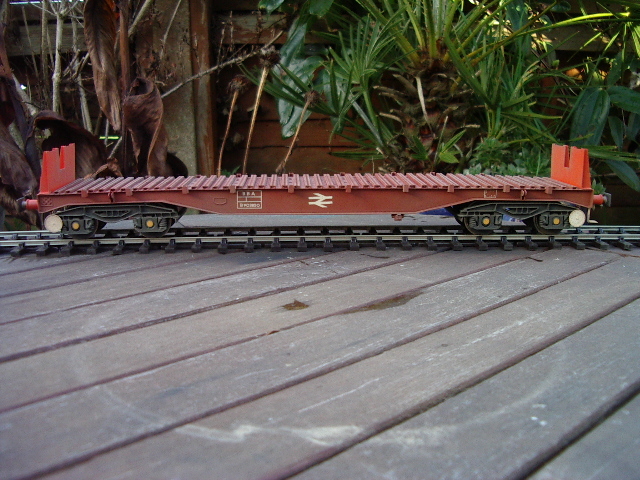 Used as barrier vehicle on some nuclear flask trains. 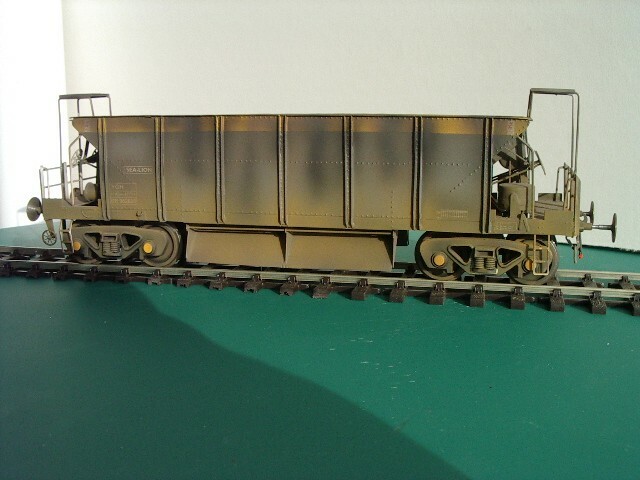 Type OBA Five Plank Open Wagon The raised ends add character to this type, which can be seen in Departmental workings all over BR (ZDA). Type OCA Steel Bodied Open Follow-on design from OBA and used in the same way as that type. An ideal companion to OBA and also used in departmental stock (ZCA, ZDA). Type OTA Timber Wagon This impressive and interesting type has been converted from a batch of OCA wagons for conveying timber to paper mills. These colourful wagons are seen on all regions except the SR. Type POA Scrap Metal Wagon Recently built type for conveying scrap in Speedlink workings. With their striking blue and yellow livery, they mainly work on the ER and LMR - with one WR working. Type SPA Steel Plate Wagon One of the most familiar of modern types - seen in steel trains and in the old Speedlink services. Many are also in Departmental use on all regions. Kit features a highly detailed bed. 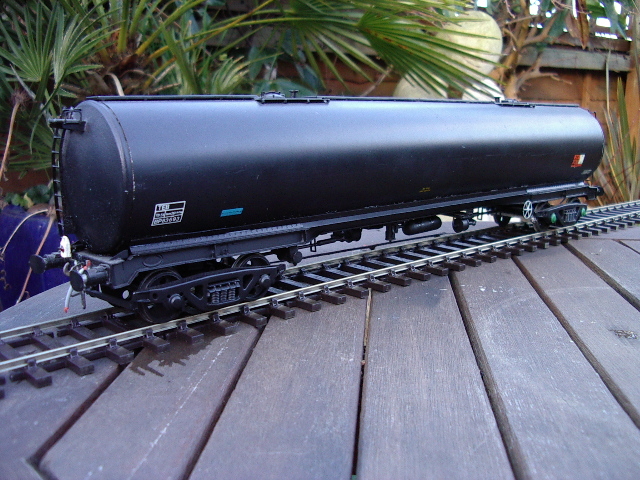 Type TEA 100t Bogie Tanker Standard design of bogie tanker, seen on all regions in block train workings. Kit has a pre-formed tank barrel. 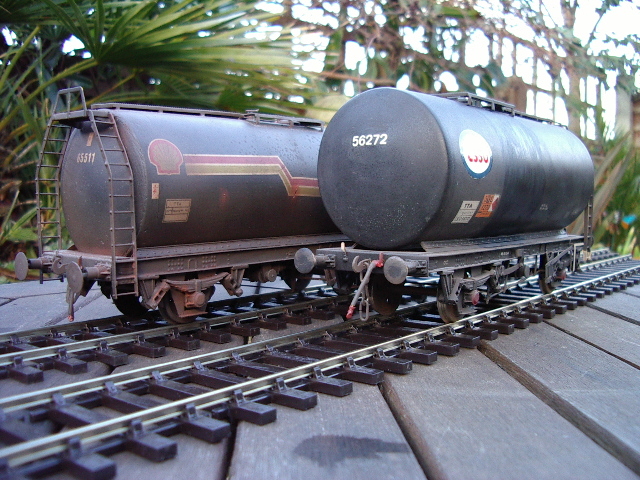 Type TTB 4-wheeled Tank Wagon BR tank wagon used in block trains and seen in loco depots delivering fuel. Type VDA Covered Van Most numerous air braked van - many now being transferred into Departmental use. Type VGA Speedlink Van Impressive 42' van used in former Speedlink workings on all regions. Kit has pre-formed body and is a very colourful type with red/silver body and 'Speedlink' name boards. 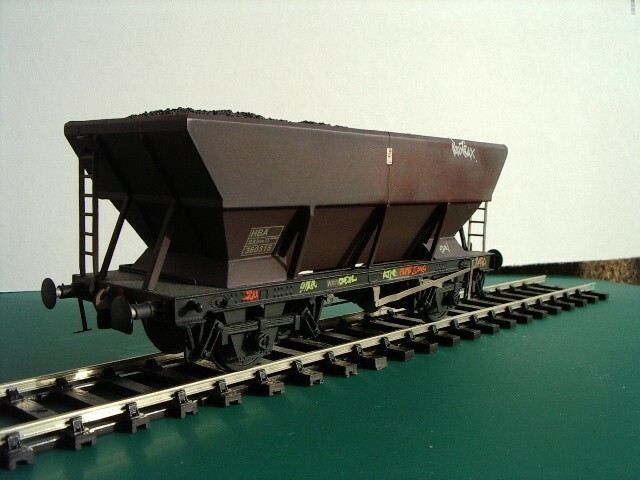 Type YCV 'Turbot' Ballast Wagon 1,100 have been rebuilt from old BEV Bogie Bolster Wagons. In their striking grey and yellow livery they are still a familiar sight over the BR system. 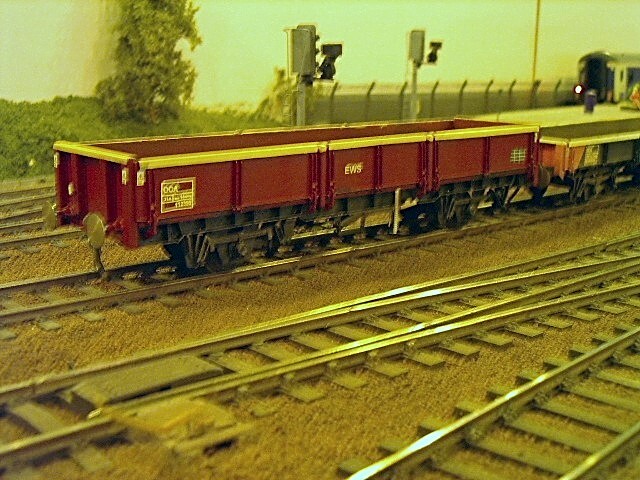 Type YGB ' Seacow' Ballast Hopper Modern variant of an old type. 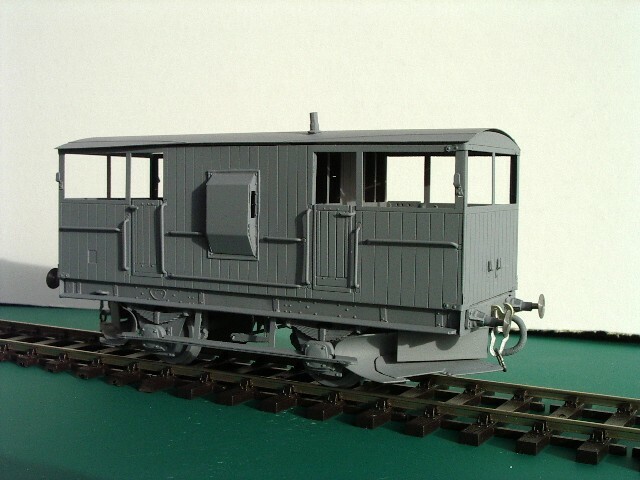 This kit covers the welded body types in grey and yellow with new super detailed Y27C Bogies. These can be seen in most areas. Type YGH 'Sealion' Ballast Hopper Earlier riveted type - dual braked and seen on all regions. Ideal companion to ZFV/ZUV and YGB. Type FPA Two axle container chassis with coal container supplied. 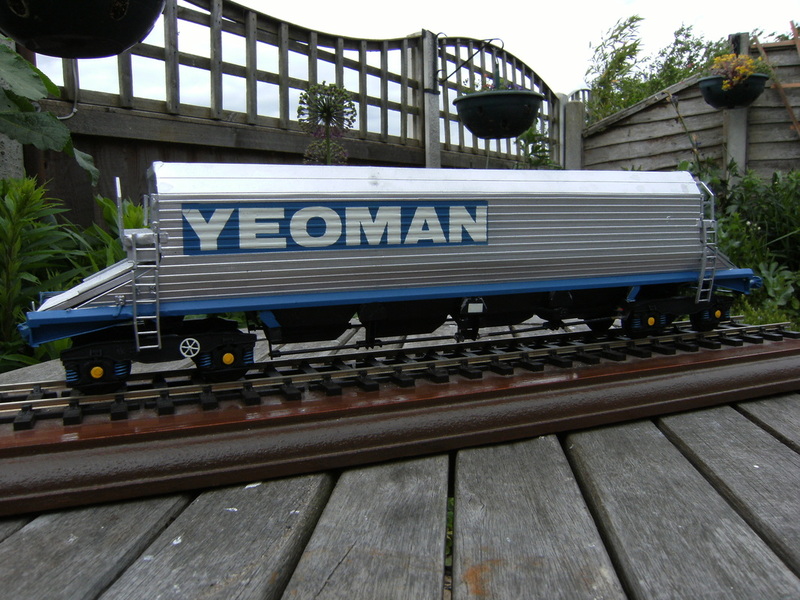 Type PGA Procor Stone Hopper Standard 4-wheeled hopper used by both Yeoman and ARC. Construction is kept simple with block train operation in mind. Type PHA Bogie Stone Hopper Type operated by Foster Yeoman. 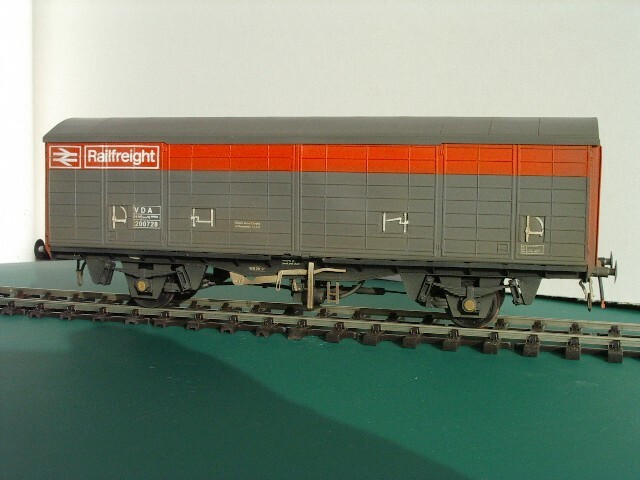 Ideal for use with Class 59 as fewer will be required to produce an impressive train. Type PTA Bogie Stone Tippler Impressive type used by both Yeoman and ARC and again a good type to use with Class 59. 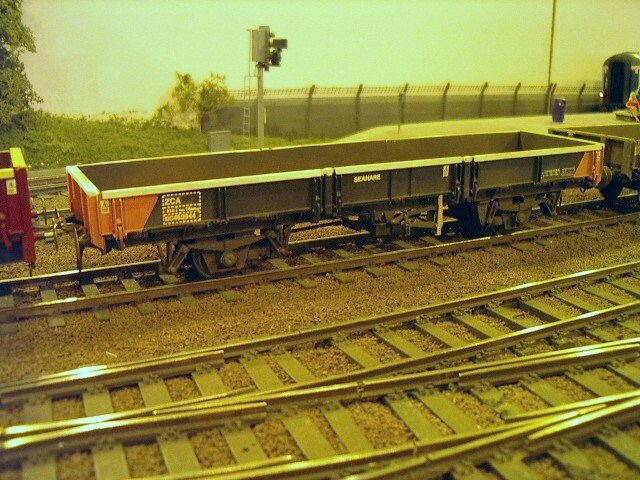 These are wagons used, for example, in Yeoman's Merehead-Purfleet train - the heaviest in the U.K. 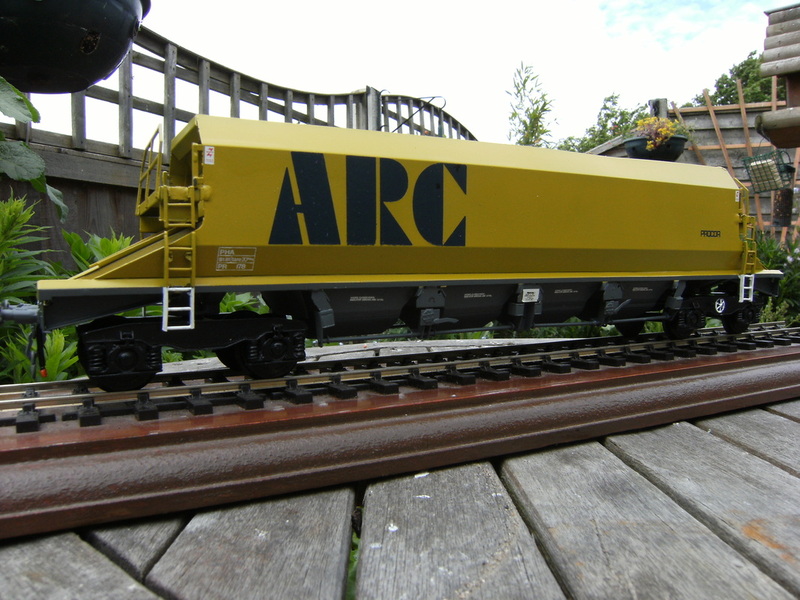 Type PHA Bogie Stone Hopper Smooth sided version of BRF-027 as operated by ARC.